Happy Thursday Friends! 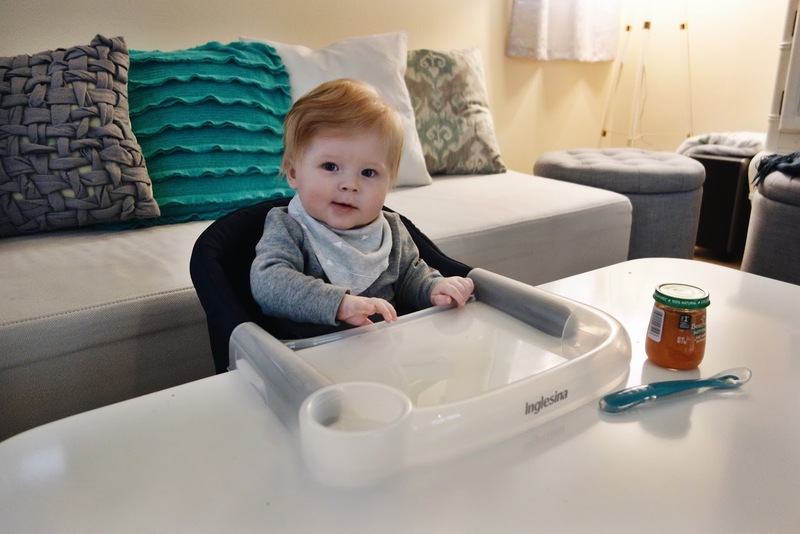 I've really enjoyed sharing baby must-haves with you, so I wanted to drop a note on another, the Inglesina Fast Table Chair. It's a baby chair that hooks on to almost any table. We've been using ours every single day for the past two months. It takes up virtually no room and I really like that we can hook it onto the bar area in our kitchen, so I can be feeding him while the hubs is cooking, or we can hook it onto our living room table while we're watching TV. Winston's feeding times often happen while we're at a restaurant eating, so we've carried the chair with us several places, making feedings super convenient. It's great for him to be able to eat right beside us. We've used the Fast Table Chair out and about probably 10 times, and every restaurant we were at, the chair easily hooked on. The Fast Table Chair is super lightweight and collapses flat, making it easy to travel with. We're currently in Utah and have it with us. We just laid it on the top of one of our bags and zipped it up. Easy! We have the Navy color, but it comes in eight other colors, too. Also, Inglesina offers a dining tray accessory that clips onto the arms of the chair, making clean up even easier. You can see Winston pictured using the chair with and without the tray. 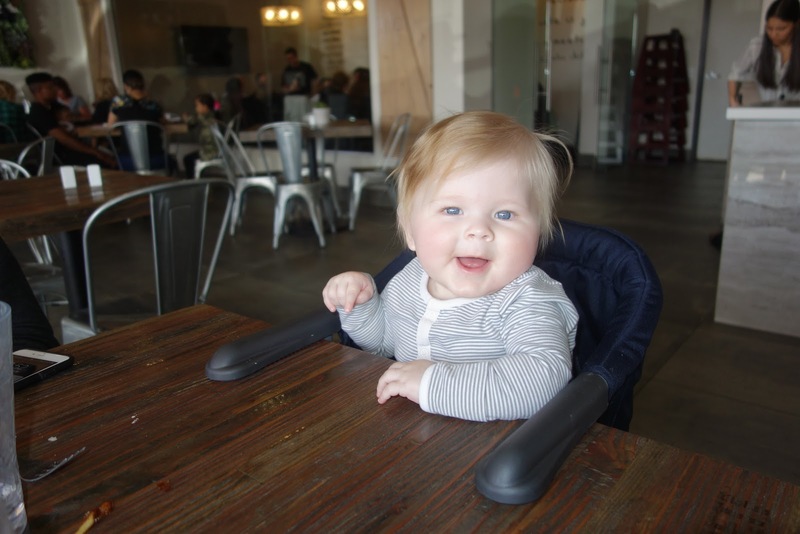 6-36 months up to 37 pounds can use the Fast Table Chair. At under $70, this chair makes a great baby shower gift! Let me know if you have any questions about the chair! The post was created in collaboration with Inglesina. All thoughts and opinions are my own. I have never used a chair like this one for my boys. I always felt that they weren't safe latching onto the table like that, but I've heard many people rave about them. I bet it's great for travel and for small spaces. Super safe. I literally push and pull on it to make sure it's tight before every use just because. I've never had an issue. It's truly convenient. What a great product at a great price - love that you can take it to restaurants (so convenient). Your baby is just beautiful - love the pictures. Thanks so much for sharing! That Fast Table Chair looks absolutely amazing! I always prefer these types of products instead of a traditional high chair that can really only be used in the home. Such a smarter buy! The fast table looks great and very practical. The price looks very reasonable too! I do not have a child yet, but this will make a great gift for my nephew! The price is great and it's so convenient. Traveling with it either out of town or just to a nearby restaurant has been a dream. Oh my gosh how fun is that! You can pull them right on up! Oh yah! You twist to lock in place and buckle your child in. Super easy!